As I said in recent blogs, 2010 has been a strange year in Florida with the coldest start to the year for over 100 years. 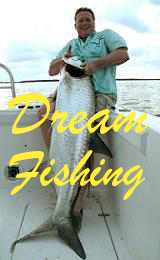 At Fish the Dream we have been lucky with a boat that’s not restricted to the bay or flats and is just at home 30 miles offshore where we have found warm water and fantastic fishing. It was on one of these trips we were able to make one dream come true. 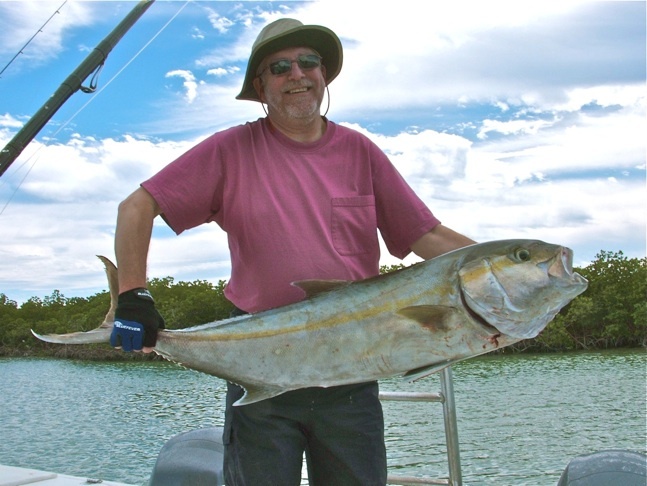 Our regulars from Jersey were trashed last year deep wreck fishing when nearly all the amberjack were taken by shark, and Rob said at the start of this trip “I would just like to get one big one back to the boat”. Well on one trip this year fishing a 200+ft wreck it was big fish on for Rob and despite many hard long runs we got it back to the boat. 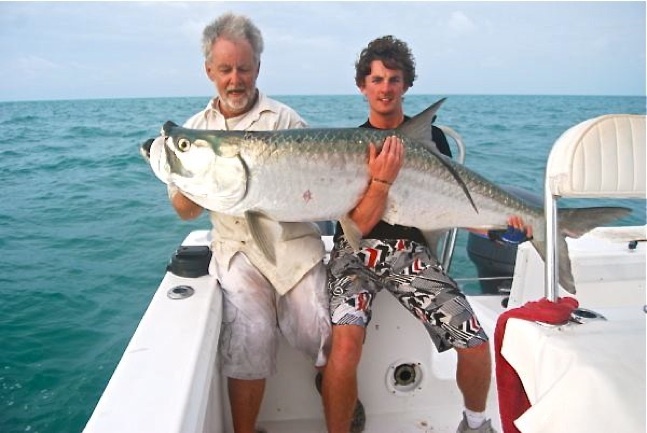 God knows what the Florida record went like at 142lbs – Rob’s fish was probably round the 40lb mark. If there is anywhere in the world with a heat problem my boys from Jersey will lower your average temps 15 to 20 degrees no problem. Please, not next year! Well done to Nigel who came with a PB 4lb, then 65 then a 100+lb hammerhead – check out video clip. On a more up to date note, the big tarpon have arrived at last and the Summerells, newcomers to Fish the Dream, had a fantastic day on tarpon with 4 fish on and 2 long fights to the boat. Well done – true pros. Pic of Stuart getting slimed but smiling. Filed under Amber Jack, Hammerhead, Tarpon.